Game four of the THL final series is in Rocanville tonight! 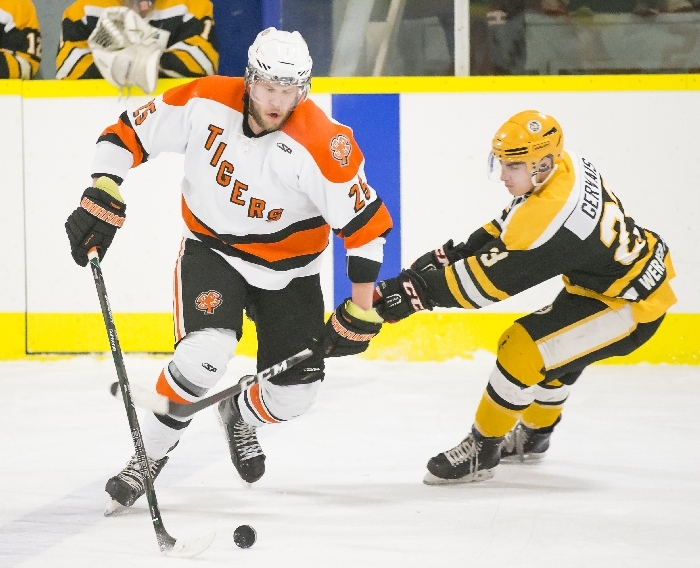 The defending THL champion Rocanville Tigers host the Theodore Buffalos tonight for game 4 of the best of 5 series! The Tigers have been THL champions for the last two seasons. The puck drops at 8:15 pm. The Tigers currently lead the series 2-1. On Sunday, the Tigers blew out Theodore 8-1 in Theodore to take the lead in the series. If the Tigers prevail again, tonight will be the final game of the THL Finals. If game 5 is needed the Tigers will travel back to Theodore tomorrow night for Game 5.